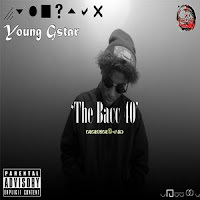 Young Gstar, G10 & BLZRS Ent. present 'The Bacc 40' heavily trap influenced yet still diverse in sound and delivery. 'The Bacc 40' explores a more wild, raw & uncut sound from Gstar than seen before. With production from mjNichols, Taz Taylor, KevinKBeats & many more talented individuals. This mixtape is sure to impress. Welcome to The Bacc 40.